On the 6th April 1999, two companies with similar science-based cultures and a shared vision of the pharmaceutical industry came together to form what’s now considered as one of the top ten pharma companies in the world: AstraZeneca. 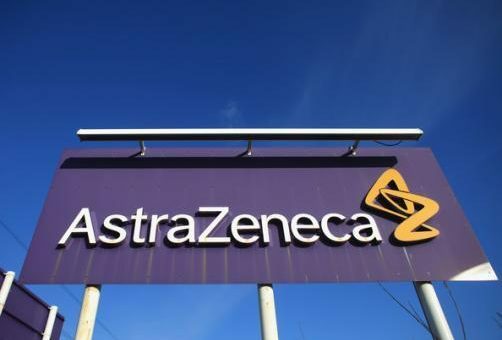 The fusion between Swedish pharmaceutical company, Astra AB, and UK-based Zeneca Group plc, was one of the largest-ever European mergers at the time. Today, AstraZeneca is active in over 100 different countries and employs over 57,200 people – 46% in Europe, 31% in the Americas and 23% in Asia-Pacific. Its mission is “to make a meaningful difference to patient health through great medicines that bring benefit for patients and add value for our stakeholders and society”2. Each year, AstraZeneca invests over US$4 billion into global research and development. The company’s main focus areas include some of the world’s most serious illnesses: cancer, cardiovascular, gastrointestinal, infection, neuroscience, and respiratory and inflammation. Since the mid-1890s, Swedish pharmacists had been discussing the issue of domestic industrial production of pharmaceuticals in Sweden, as opposed to manual preparations by pharmacists. German and Swiss pharma companies dominated the Swedish market at this time and it wasn’t until 1913, that the discussions were turned into pharmaceutical company, Astra AB. It was under the long-serving CEO, Borje Gabrielsson, who led the company between 1927 and 1957, that Astra AB established its status as a leading Swedish pharmaceutical company. Astra introduced two important product families onto the Swedish market in 1948: penicillin and anaesthetics, initially in the form of Xylocain. The profits from these products funded the development of new drugs, such as gastroesophageal treatment, Losec, and cardiovascular treatment, Aptin. In the 1980s, Astra was a pioneer in the selective serotonin reuptake inhibitor (SSRI) area. However, it withdrew its neuropharmacological drug, Zelmid, which was an SSRI, due to concerns over side effects only a year after it was introduced in 1982. Later, Eli Lilly &amp, Co introduced the bestselling SSRI drug, Prozac, which made Astra realise that if it had continued with its SSRI drug development it would probably have beaten Lilly to this lucrative market. In 1990, the US Food and Drug Administration (FDA) requested Astra to change Losec’s brand name to Prilosec, to avoid confusion with Sanofi-Aventis’ diuretic, Lasix (flurosemide). However, this new name has since caused confusion between Priloec and Prozac. The 90s also brought an increased perception that the pharmaceutical industry needed more international partnerships, and an increasing pressure on pharma companies as development costs of new drugs rose. 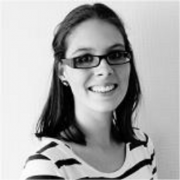 Responding to these pressures, Astra began to look for partners. British multinational pharma company, Zeneca, was formed by a demerger of the pharmaceuticals and agrochemicals businesses of Imperial Chemical Industries in 1993. The name, Zeneca, was invented by a branding consultancy who had been instructed by its chief executive, Sir David Barnes, to find a name which was memorable, had no associations with other companies, nor was offensive in any language3. Zeneca acquired 50% of Salick Health Care, an operator of cancer care centres in the United States, in December 1994. The transaction valued Salick at US $440 million. In March 1997, Zeneca exercised its right to acquire the other 50% of Salick, which it did not already own. Following this acquisition, it comes as no surprise that Zeneca’s largest therapeutic area was oncology, in which its key products included casodex, nolvadex and zoladex. In 1998, Zeneca decided to sell its Zeneca Specialities division, which include activities in biocides, industrial colours, lifescience modules, performance and intermediate chemicals. It was this decision that fuelled many rumours that Zeneca was preparing to merge with another company. These rumours turned out to be true when the Astra and Zeneca merger was announced in December of the same year. When the fusion was announced in 1998, it was called a “merger of equals to create a global leader in pharmaceuticals”. On completion of the merger, Astra Shareholders held a 46.5% share, while Zeneca Shareholders held 53.5%. AstraZeneca’s corporate headquarters were chosen to be in London, United Kingdom, while its R&amp,D headquarters were to be in Sweden, with major centres of excellence in the UK and USA. Percy Barnevik, nominated Chairman of AstraZeneca, in an official press release in 19984. The merger of Astra and Zeneca aimed to improve the combined companies’ ability to deliver long term growth. AstraZeneca also wanted to endure shareholder value through global power and reach in sales and marketing, greater financial strategic flexibility and the creation of a stronger R&amp,D platform for innovation-led growth2. Following AstraZeneca’s creation, the pharma company began to focus on five main areas of research – cardiovascular, gastrointestinal, respiratory, oncology and local and general anaesthesia. As you can see from an earlier mention, these are still high on the list of AZ’s core focus today. In August 2000, Nexium (esomeprazole) for the treatment of acid-related diseases, such as gastro-oesophageal reflux disease (GERD), was first launched in Sweden. Between 2001 and 2005, Nexium netted AstraZeneca approximately US $14.4 billion. AZ began many research partnerships with various pharmaceutical and technology companies between 2000 and 2005, including British-based companies Astex Therapeutics, Argenta Discovery Ltd and Vernalis, the United States’ Array BioPharma and Targacept Ltd and Danish 7TM Pharma. AstraZeneca’s first acquisition following its creation was of KuDOS Pharmaceuticals, a UK biotech company, for £120 million in 2005. The same year, AZ also entered into its third collaboration agreement with Astex Therapeutics, this time to develop small-molecule protein kinase B (PKB) to further contribute in the fight against cancer. In 2007, AstraZeneca’s pipeline was the subject of much speculation, as the company began to face increasing pressure from generics as many of its key drugs began to reach patent expiry. In June 2007, AstraZeneca completed the acquisition of vaccine maker, MedImmune, buying its drug-development pipeline for US $15.2 billion. However many analysts felt the company had paid far too much for the US-based company, especially as it had few late-stage drugs with major commercial potential. Having already acquired UK-based Cambridge Antibody Technology in 2006, AstraZeneca merged these two companies to create a dedicated global biologics organisation known as MedImmune. Bestseller Nexium had become available in approximately 100 markets over the past seven years since launch. Over 85,000 patients in 62 countries were evaluated in clinical trials of Nexium and close to 746 million patient treatments were administered by the end of 20075. 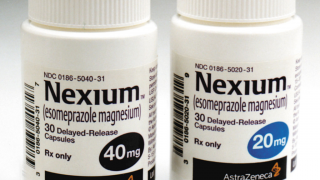 Since 2006, AstraZeneca found itself in various disputes over generic versions of Nexium, which has patents due to expire in 2015. In April 2008, AstraZeneca also reached an agreement with Ranbaxy, the Indian generic drugmaker, allowing it to produce a generic version of Nexium starting in May 2014. AZ’s next acquisition was of British biotech, Arrow Therapeutics, in 2007 for US $150 million. Arrow Therapeutics focused exclusively on novel antiviral drug discovery and development, including several different approaches towards Hepatitis C and Respiratory Syncytial Virus (RSV). It was around this point that AZ had decided to re-focus its disease area research with infection and anti-bacterials as one of its key therapy areas. AstraZeneca heavily features in the top ten pharmaceutical companies in the world in 2012, but faced a string of patent expiries in its blockbuster drugs. Its oncology treatment Arimidex lost exclusivity in the US in 2009, accounting for a sales decrease of 86%, as published in the 2010 annual report. The EU patents expired in 2010 and 2011, causing further profit loss. In 2010, the largest portion (28%) of AstraZeneca’s revenue came from its cardiovascular drugs, including Crestor (rosuvastatin calcium), plendil (felodipine) and tenormin (atenolol). The growth in this sector is thought to be driven by the western lifestyle, which leads to longer lives, higher fat consumption, and therefore more heart problems. The second-biggest segment, at 20% of revenue in 2010, was neuroscience. This sector was dominated by Seroquel IR, Seroquel XR and anaesthetics. Seroquel IR’s patent expired in 2012, while Seroquel XR is expected to drive profits for a further five years before its patent expiry in 2017. 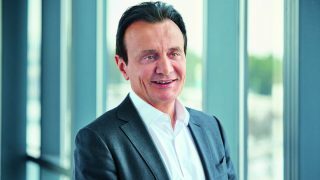 AstraZeneca, along with nine other biopharmaceutical companies, formed a non-profit organisation this year, to accelerate the development of new medicines. TransCelerate BioPharma Inc is the largest initiative of its kind and has end goals of improving the quality of clinical trials and bringing new medicines to patients, faster. The company gained a new chief executive in October 2012 when Pascal Soirot took the reins, who set about rebuilding the company and bracing for the impact of more patent expiries.